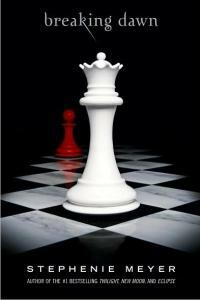 Breaking Dawn, the last book in this amazing series. Also my second favourite book in the Saga. (Eclipse being the first, as said below.) Anyways, this book is Bella's wedding, honeymoon.......... and more. I loved the mystery, suspender, slight action, and lots of romance in this book. Yes, I did cry at Bella's and Edward's wedding at the very end of the ceremony. I would recommend this book to mature 10 year old's and up. Still very great book.